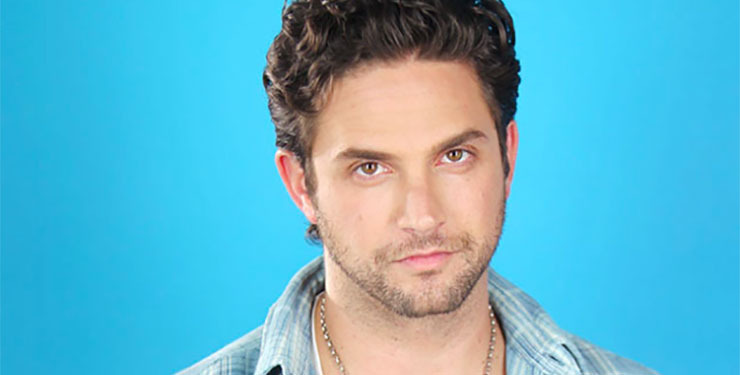 We didn’t often see Johnny Zacchara (ex-Brandon Barash, “General Hosptial”) do much reading during his time in Port Charles. But everyone’s favorite mobster with a heart of gold–not to mention a smile that makes us weak in the knees–will be taking a bookish turn in an upcoming acting gig. Barash’s skill at playing a tortured soul will come in handy when he takes on the role of famed American author Ernest Hemingway on an episode of NBC’s “Timeless,” reported Michael Fairman. The episode will feature Hemingway during his newspaper reporting days in a post-World War I (WWI) Paris. The alcoholism that escalated to severe levels the older he got will just be getting off the ground. Barash’s Hemingway will find booze to be the perfect palliative to assuage the trauma he suffered during the course of WWI. No word on if we will see Barash’s Hemingway shoot himself, the harrowing end to a brilliant life. Hemingway became an icon of American literary history with his spare, unadorned prose style. The author also moved millions with his unassuming but spellbinding style of storytelling. Barash’s “Timeless” episode airs on February 6th. So, we know Barash can play a mafioso who inherits a life of crime he wants little to do with. We’re sure he’ll do a knock-out job as Hemingway. But remember, he also played Thomas Calabro (Michael Mancini, “Melrose Place”) in “The Unauthorized Melrose Place Story.” That’s quite an impressive assortment of roles! Barash is divorced from ex-costar Kirsten Storms (Maxie Jones, GH). They co-parent a daughter, Harper Rose.